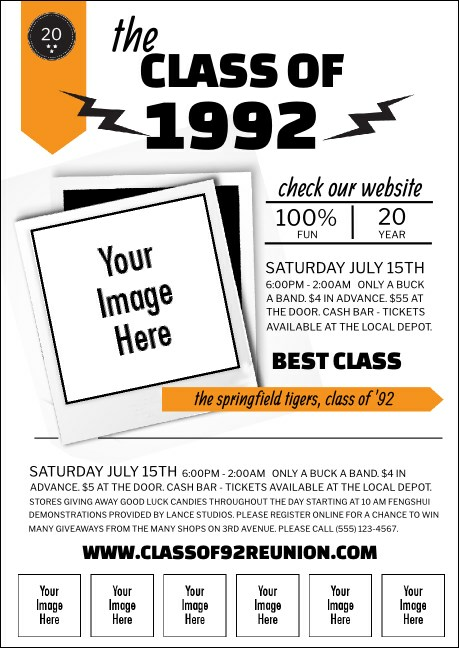 Put your pre-event promotions in a class all their own when you print Class Reunion Mascot Orange Postcards and send them out to your former classmates in advance. Reunite all your old school friends with Postcards that feature plenty of extra ad space so you can showcase sponsor logos or upload any other image you like. Personalize your alumni event promotions at TicketPrinting.com.